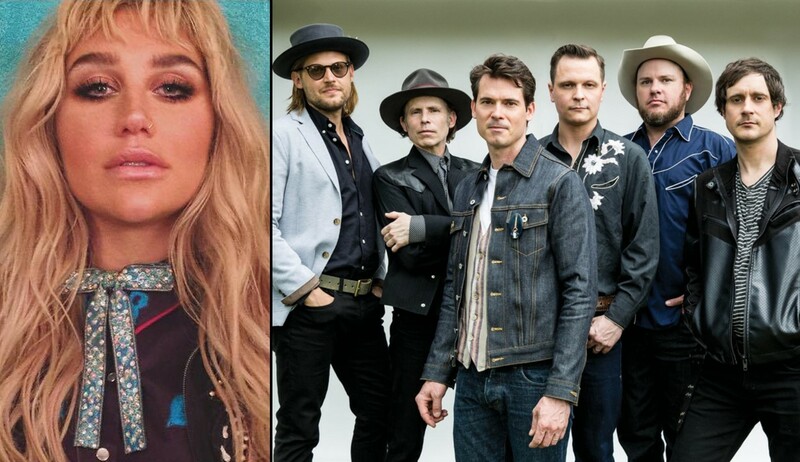 Kesha and Old Crow Medicine Show recently joined forces on an unexpected rendition of "Wagon Wheel." More on the collaboration here! Kesha says that the Grammy-winning acoustic Americana band embodies the outlaw attitude of early country artists like Johnny Cash and Loretta Lynn. Check out this video of Kesha and Old Crow Medicine Show’s live performance of “Wagon Wheel” below! 2017 was Kesha’s comeback year after undergoing personal and professional hardships. With themes of female empowerment and musical exploration, Kesha’s third studio album, Rainbow, portrays the artist in a whole new light. The album, released in August, features collaborations with artists Ben Folds, Eagles of Death Metal and Dolly Parton. The album debuted at number one on the Billboard 200 chart and was nominated for Best Pop Vocal Album at the 60th Annual Grammy Awards. Old Crow Medicine Show has released five studio albums. Their latest release was the compilation Best of Old Crow Medicine Show. Their 2014 Remedy album earned the Grammy award for Best Folk Album. The band performs at festivals nationwide, like Bonnaroo, Coachella, New Orleans Jazz Festival and Cambridge Folk Festival. Their most recent performance was their eighth annual New Year’s Eve show at Nashville’s Ryman Auditorium Dec. 30-31. Since its debut in 2002, CMT Crossroads has showcased iconic musical pairings including Alison Krauss and Robert Plant; the Avett Brothers and Randy Travis; Ray Charles and Travis Tritt; Dave Matthews and Emmylou Harris; Kelly Clarkson and Reba McEntire; Def Leppard and Taylor Swift; Sting and Vince Gill; John Mayer and Keith Urban; Steven Tyler and Carrie Underwood; Stevie Nicks and Lady Antebellum; Katy Perry and Kacey Musgraves; and Alicia Keys and Maren Morris to name a few. Watch the full episode featuring Kesha and Old Crow Medicine Show here. Share this with other fans of these artists!